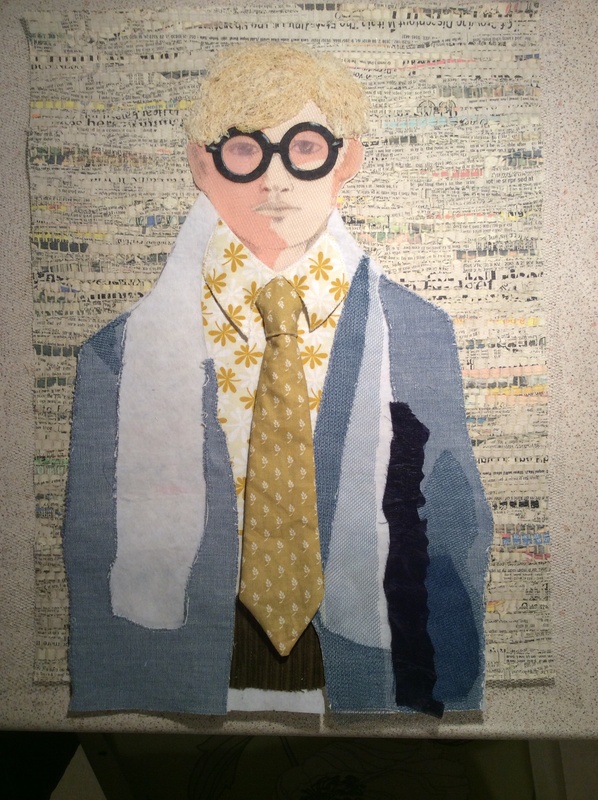 The mixed media Hockney quilt has been shelved for a couple of weeks but today I made a start on his clothing. Based on his 1954 self portrait, I am bringing him into the next decade. Along with his iconic dyed blond hair and round specs I decided to swap his check shirt for something a little more flamboyant! ← Patchwork Bag by Annette Cooke…..
A mixed media quilt….wow! This is going to be great! Thanks Lori. I’m having fun with this one!